Employers these days are aware of the fact that hiring adults with disabilities adds value to their business. According to the Americans with Disabilities Act, “a covered entity shall not discriminate against a qualified individual with a disability.” This is applicable to job application procedures, recruitment, job training, and advancement and discharge of employees etc.In fact to encourage businesses to hire persons with disabilities, the federal government and several other non-profit organizations are educating employers on the benefits and value of hiring adults with disabilities. The U.S. government has various programs to further encourage employers for such a noble cause. For example, it makes you eligible for tax benefits that help cover the accommodation costs for employees with disabilities. You don’t necessarily need to be a big-hearted soul and sacrifice your business’s profits to improve your community by recruiting adults with disabilities. The latest study by i4cp, called Employing People with Intellectual and Developmental Disabilities, indicates that hiring enabled people with disabilities is good for your organization’s bottom line. Over three-quarters of employers participating in the study confirmed that their employees with disabilities are good or very good in terms of work quality, engagement, motivation, attendance, integration with co-workers, and dependability. Although many employers were initially leery of recruiting these people, their concerns dissolved once these employees were on board. There are 56 million individuals with disabilities in the U.S., representing the country’s third largest market segment after Baby Boomers and mature market, according to MarketResearch.com. A National Survey of Consumer Attitudes reports 92 percent of people in the U.S. favor companies hiring individuals with disabilities than those that do not. 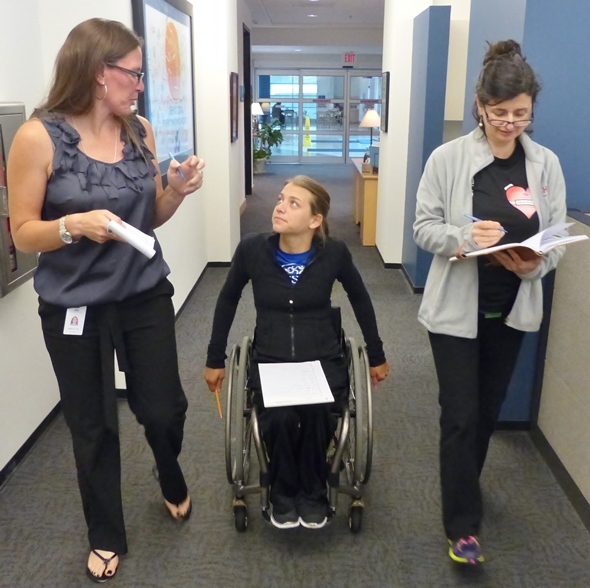 87 percent Americans would give their business to companies hiring people with a disability. 5 percent of U.S. consumers would switch to brands associated with such a good cause, provided the quality and price are fairly equal. “One-in-five Americans has a disability” and almost 26 million people in the U.S. with disabilities are in their working age. A survey of employers using the Job Accommodation Network shows that 50 percent of accommodations for employees with disabilities cost less than $50 and 88 percent cost less than $1,000, if at all needed. Studies also indicate that only 18 percent of Americans are born with a disability, meaning others have been victims of accidents, injury at work, illness, musculoskeletal disorders, medical malpractices and nursing home abuse, and lifestyle choices and so on. This also means that majority of them were living a productive life earlier and there is no reason to suspect or be skeptic about their capabilities. In fact, people with disabilities are usually as productive as anyone. They are talented, creative and innovative apart from having a record of lower absenteeism rates than their non-disabled peers. Employers too have experienced a positive impact of hiring adults with disabilities on morale of their employees and clients as well as in their overall corporate culture. Innovation is key to the success of a business. By brining employees with disabilities on board, you are also bringing better understanding and unique experiences in the organization that can transform your corporate culture and enhance your products and services. These people contributes in building your business as well as in leading your brand into the future as much as any other member of your team, if not more. As mentioned, American consumers with disabilities and their network represent 1 trillion dollar market segment. And they are loyal customers to brands and businesses supporting them. Besides, a large number of people in the U.S. who prefer to patronize businesses hiring adults with disabilities. All these means that this simple act can help you gain a large number of lasting customer base in order to increase your market share and profitability. However, there are certain things employers need to know when hiring an employee with a disability. This is indeed a great and noble way to enhance and expand your business, you must understand that there are certain legal requirements you need to comply with regarding the accommodation of employees with a disability. For example, having an equal opportunity for people with disabilities to apply for jobs is not enough, you need to ensure that they provide an equal opportunity to these employees to be promoted once they start working and they enjoy equal employment benefits and privileges such as on job trainings and employer-provided health insurance just like to your other employees. Besides, they must never be harassed physically, emotionally or otherwise due to their disability. An experienced and skilled worker compensation lawyer can better guide you regarding the dos and don’ts and other laws related to ADA. It is a smart business move to hire people with disabilities. With the growing population of this segment, the percentage of those in working condition is also increasing. It therefore makes sense to remove all kind of employment barriers. While there will be some resistance or fears at hiring levels, it is possible to overcome them with support from supervisory level. This too makes sense considering the benefits of hiring people with disabilities such as positive hiring, better motivation and productivity, higher retention, and not to forget the social responsibility impacts. Rachel Oliver is a thought leader in laws dealing with personal injury and related niches. Updated with the latest happenings in the legal world, she shares her experiences and anecdotes through her write-ups on various websites. Interact with her through her Google+ profile. This is such an important topic. Employing a qualified person with a disability would open the door to economic viability. It is so important that people with disabilities seek education that leads to employment. Thanks for the info.